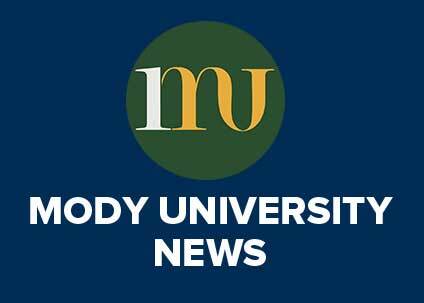 Mody University of Science and Technology has been known as a university which imparts quality education which feeds the thirst of knowledge along with placing the students at leading companies and making them competent enough to face the challenges of the professional world. Because of the constant hard work of the dedicated Training and Placement Dept. 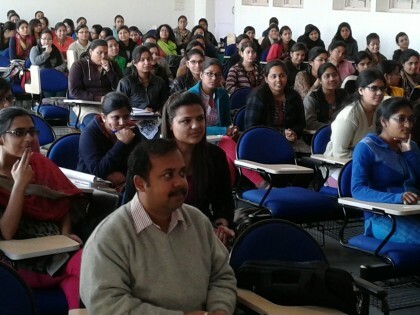 of Mody University, top MNCs keep coming in the campus to offer best career opportunities to the students. 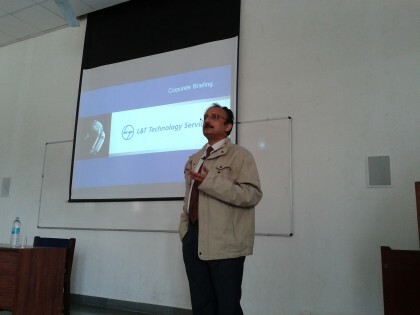 The recent visit of Engineering Industry Leader L& T Technology at the Mody University for the campus recruitment of B. Tech. and M. Tech. Students established that fact very well. 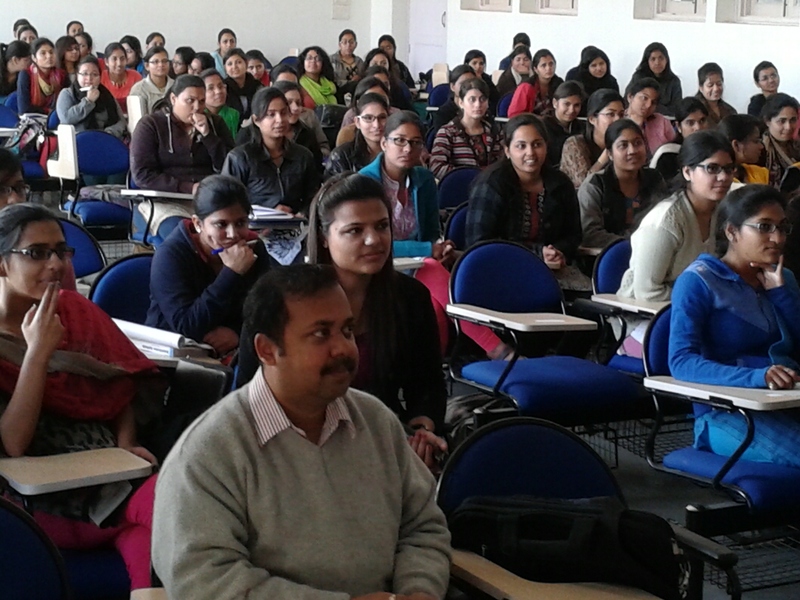 The recruitment which took place from 20th to 21st February, 2014 saw the selection of good number of FET students of B. Tech. Mechanical Engineering, Electrical & Electronics Engineering, Computer Science & Engineering and Electronics & Communication Engineering branches. At L&T Technology, where solutions are engineered and passions are built, the company stands as a core company for the for the Mechanical Engineering, Electrical & Electronics Engineering and Electronics & Communication Engineering branches of B. Tech. and M. Tech. Programme. 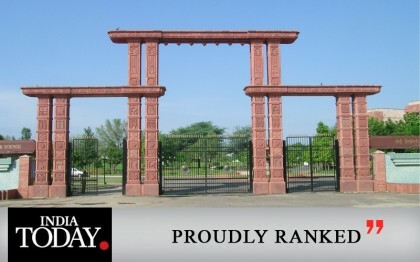 Mody University prides itself as the only institution in Lakshmangarh to be visited by the company for campus recruitment. 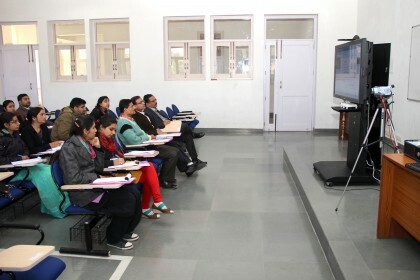 L&T Technology, for whom this was the second consecutive visit to the campus, had their visiting team be quite impressed with the students’ ability, quality and expertise in programming logic. 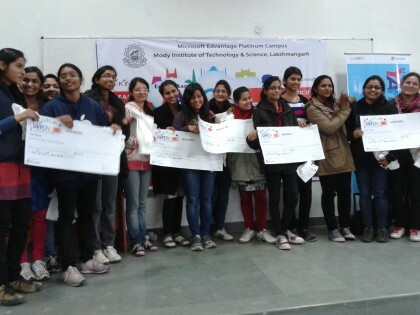 Their merit, hard work and dedication to make their dreams come true really caught the attention of the team. Imparting quality education amongst the environment of serenity and tranquil, Mody University offers a world-class infrastructure. The whole set up of the university made L&T Technology plan to set up a laboratory at the University campus in the area of Electronics Engineering. . The company has also planned to introduce a few industry electives in the B. Tech. and M. Tech. programme of the University. The students who got selected were given congratulations and praised for being selected at such a prestigious company which is the outcome of their hard work. The Vice Chancellor, Prof. (Dr.) N.V. Subba Reddy, Dean Faculty of Engineering & Technology Dr. J.V. Desai and General Manager, Career Development Center, Mr. Sudhanshu K Sinha further motivated them for their future endeavours.